The story of the Allston family is narrated in three threads. The reader spends time with Helen and daughter Eulah on the Titanic on that last fateful day in 1912; time with daughter Sibyl, her father Lan and brother Harlan from 1915 and an interlude in Shanghai in 1868. Underlying them is psychic ability, addiction, burden and sometimes peace that comes with knowledge. The writing draws us in to this historical time with it’s description of décor, fashions, environment and societies expectations. Sibyl’s home, the Titanic, and 1868 Shanghai comes to life as does the expectations of Boston’s elite set. Sibyl taking on the burden of the home is wonderfully portrayed. She has locked the adventurous person she was deep inside and presents a façade to the world. Once Harlan comes home early from Harvard though, he brings change to her world. After the confinement of her duties it was brilliant to see her laughing and living life again (even her experiences of the darker side of society). The trauma of being a survivor is also portrayed really well – the author writes in such a way that we get to know Sibyl in depth. Benton becomes Sybil’s strength after Harlan’s return and their developing relationship is tentative at first due to their background. This is a changing relationship I enjoyed being a part of. My feelings towards Lan changed – from a father who I thought was disinterested in the life of his family and held himself apart – to a person with a burden that he had tried to hide. I loved the way his relationship with Sibyl changed through the course of the story. This father/daughter combination is very inspiring! The author cleverly disguises the Shanghai interlude. It wasn’t until I was about three quarters through the story that I made the connection! I must admit, I was fascinated by the opiate scenes. Not because of the addiction but because of the outcome! 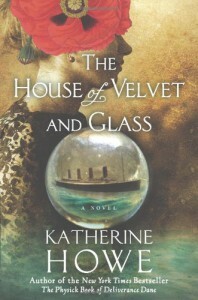 The House of Velvet & Glass is a fascinating journey on many levels. As well as the darkness of addiction and the pain of loss there is the coming to terms that we can not direct another’s journey through life … and that their own choices bring the most happiness. 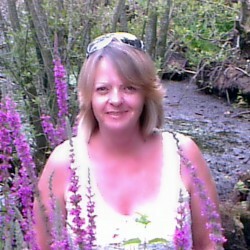 Romance, history, family, psychology and psychic abilities have all held my interest.